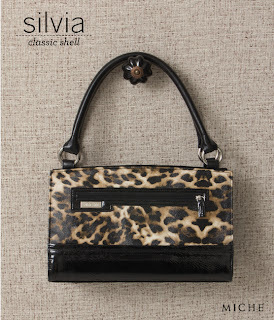 Elegant leopard print faux leather with glossy black patent leather accents evokes the golden age of cinema while still exuding modern flair. The Miche Silvia Shell for Classic Bags brings to mind sultry and mysterious stars. Front zippered exterior pocket.